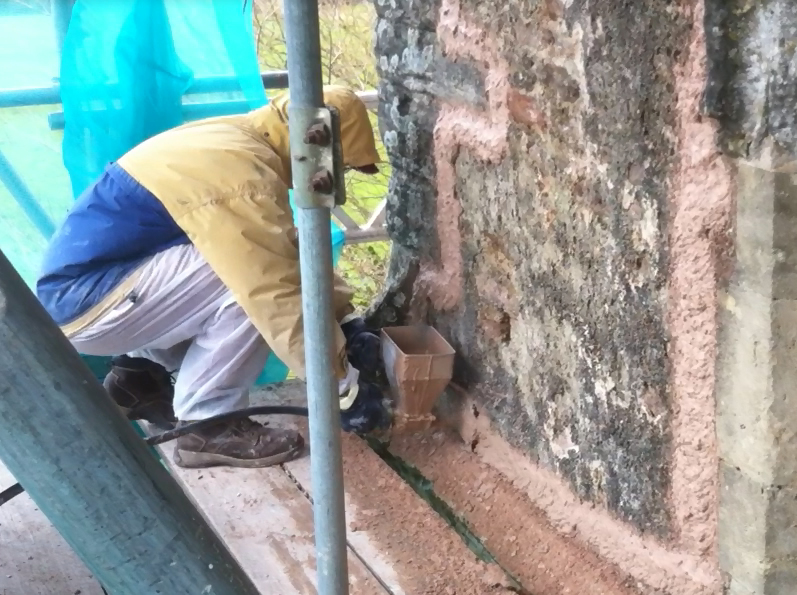 The original lime render had almost completely disappeared on the tower allowing erosion of the underlying Heavitree stone. 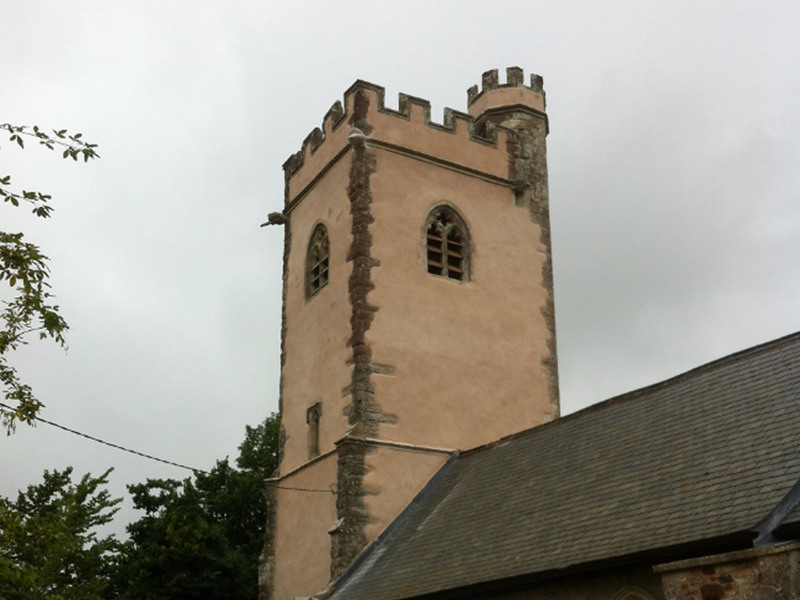 New lime render was applied to three of the four elevations. 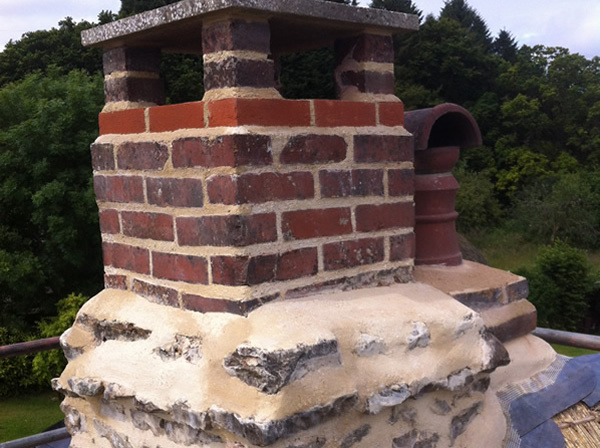 The lime render was applied using a render gun. Using the render gun allowed a good bond between coats, especially the first coat, which needs to adhere well to the substrate and provide a good key for subsequent coats. 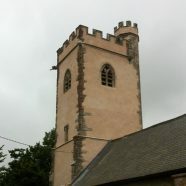 The final coat was rubbed back with a combination of wooden and poly floats and sponges to achieve the desired finish. The string course on the vice turret had decayed almost completely up to the wall line. The existing string course was at different levels on opposing sides, maybe where previous repairs had been carried out. New stone was carved and fixed level, following the line of the existing string course. Some of the merlons were in need of minor repair and were fixed securely. 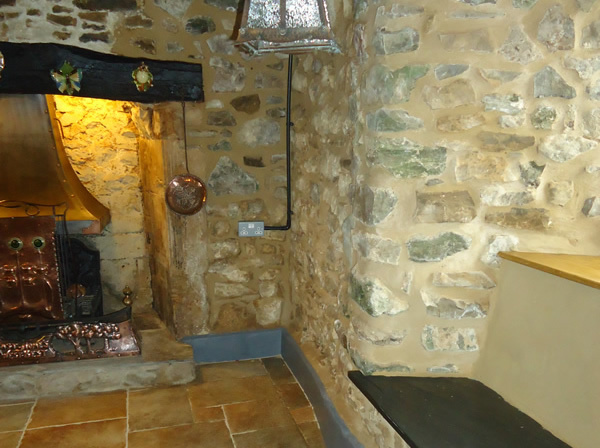 Previous cement render was removed and replaced with lime render. 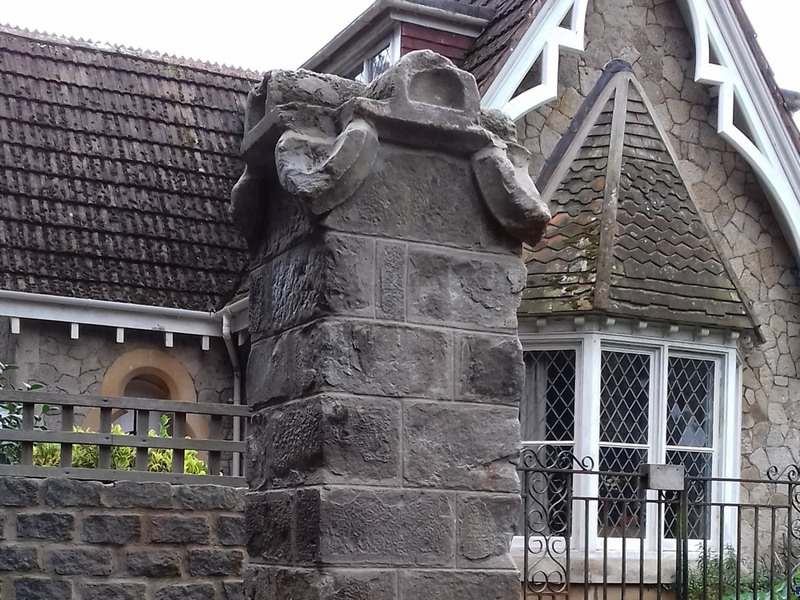 An anonymous donor from Aylesbeare donated the money for a new gargoyle. The original gargoyle has been lost so a new design was made. The gargoyle was designed to mark the appointment of the first woman Bishop in the South west, and the fourth in the country as a whole. The shape of the gargoyle takes the form of a mitre with symbols carved into it reflecting the Bishop’s previous career as a nurse and her honour as Dame Commander of the British Empire for her contribution to nursing and midwifery. 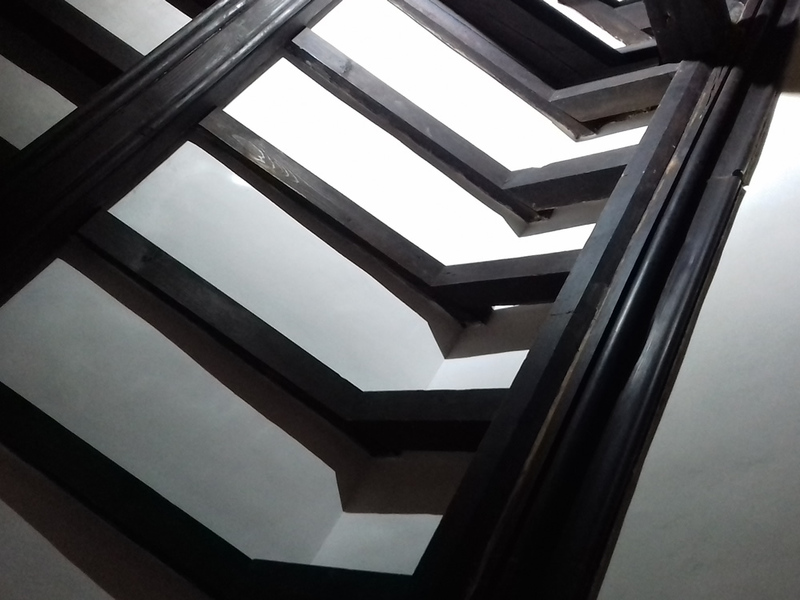 Rotten timber louvres were replaced with timber.